How about keeping Christmas mood for a long period of time? Discover the most desirable piece to buy now and our guide on how to style it. Try on Isle prints and update your wardrobe with chunky sweaters, dresses, oversize hats and footwear. A hand-knit Fair Isle yoke lends a chic Nordic touch to every sweater, hat, gloves and anything else you can knit. Inspired by the classic Nordic patterns, Fair Isle sweaters have unquestionable style. They combine the advantages of a cozy thickness, work-to-weekend versatility and an on-trend attitude. 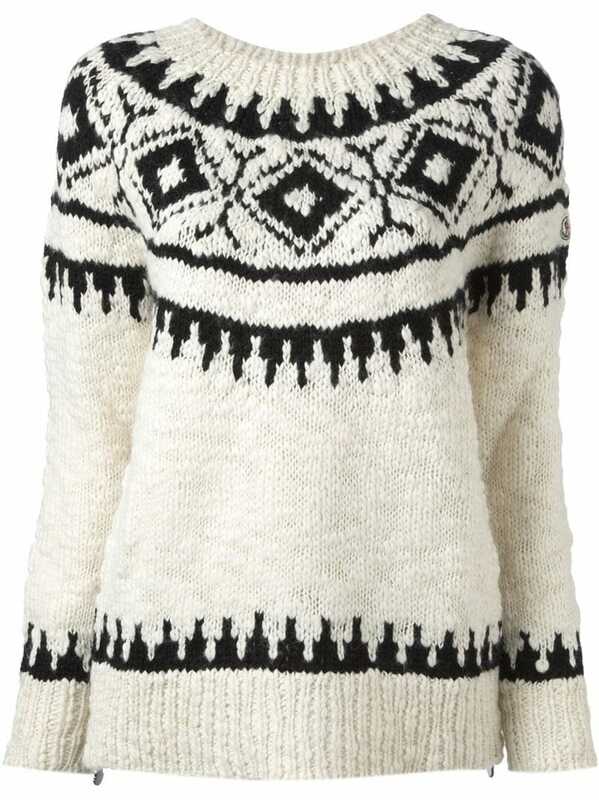 Fair Isle patterned sweaters lend a ski-chic finish to chilly days in unquestionable style. Be it shopping in the city centre or a break in the mountains, these sweaters combine the advantages of a cozy thickness, work-to-weekend versatility and an on-trend attitude. Wear it with anything you like: a leather skirt to achieve the mod Sixties look, or with a skinny belt to modernize the classic pattern. This is the “it” pattern of the season for everything knit, especially sweaters. In winter a Nordic-inspired pattern details a slouchy cardigan, a mockneck sweater, a tunic, a collar sweater and many more. Fair Isle had a major moment on the winter 2011 runways at D&G (modelled by Chanel Iman), Rag & Bone, and Max Mara (modelled by Ramona Chmura). A glamorous week end on the slopes, The D&G Womens collection for Winter 2011 portrays the girls perfect wardrobe for a stylish week end on the slopes. A wardrobe made for spending time cuddling with boyfriends inside a warm chalet or for sunbathing on the slopes. For happy hour, for shopping time and for all night parties. As of A-listers, Victoria Beckham, Vanessa Hudgens, and Rihanna (wearing Yigal Azrouël) love this interesting pattern play that the Fair Isle creates. Besides, a Nordic sweater is a good weight for layering and embracing cool-weather style. Wear it with anything you like: jeans to achieve a casual look, leggings to modernize the classic pattern, or a skirt just like at D&G. In any case, you won’t go cold this winter!